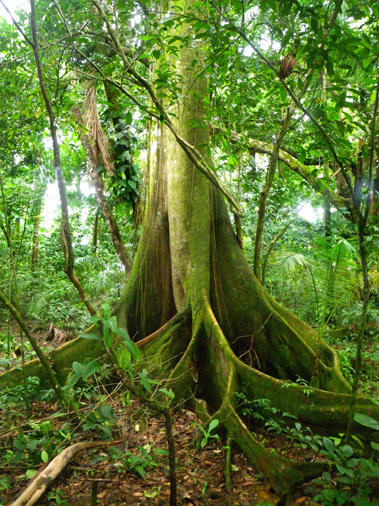 This course is designed to provide the student with a sound foundation in ecological concepts and field techniques as applied to tropical rain forest ecosystems. The material covered is equivalent to a university upper level course in tropical field ecology. This course will also provide the opportunity to explore ecological aspects of the rainforest canopy. A certified tree climbing instructor will be on hand to teach climbing and to lead students into the canopy where they may have the chance to experience and observe firsthand this unique subsystem of the rainforest. 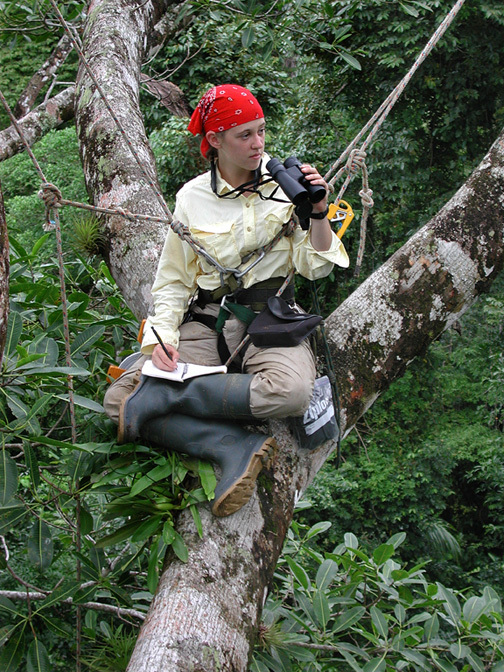 The climbing instructor will also be on hand to assist those wishing to their independent research projects in the canopy. A tree climbing certification is an option for those willing to go beyond a mere introduction to the canopy. The course is divided into five distinct categories; formal classroom lectures, informal field lectures, readings and critiques, group projects and individual research projects. Formal lectures will take place in the classroom and will include the use of overhead projectors, chalk boards, and/or slide projector. Topics that will be covered are provided in the “Course Schedule”. Informal lectures will be provided periodically during orientation walks (when you first arrive), during group field projects or in discussion groups. These will cover a wide variety of topics and will generally be prompted by what we encounter in the field, or by the direction taken during group discussions. Readings corresponding to lecture subjects will be assigned in the text. We will also read and critique papers brought by students and faculty and additional readings may be assigned from time to time. In addition, each student will read, critique, and provide oral reports on published papers brought to Bocas del Toro Biological Station. Kricher, J.C. (1989). A Neotropical Companion. Princeton Univ. Press, Princeton. Terborgh, John (1992). Diversity and the Tropical Rain Forest. Scientific American Library, N.Y.
McDade, L.A., et al. (eds.) (1994). La Selva: Ecology and Natural History of a Neotropical Rain Forest. University of Chicago Press, Chicago. Forsythe, A. and K. Miyata (1986). Tropical Nature. Scribners, Inc., New York. Janzen, D.H. (1983). 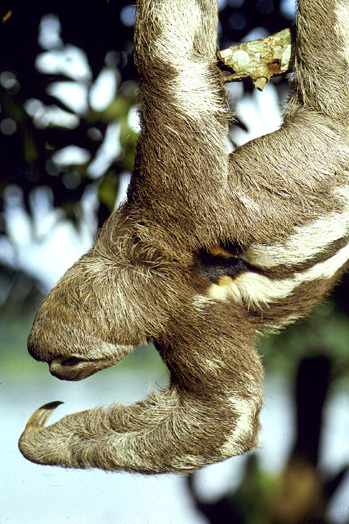 Costa Rican Natural History. Univ. of Chicago Press. These are research or instructional projects designed by the faculty and worked on in groups of five or six students. The purpose of these projects is to familiarize students with an array of field sampling techniques and equipment commonly used in field studies. With help from a faculty member, students set up projects, collect data, and generally (depending on the project), analyze data, present the results to the class, and write a report. Student groups will rotate through all projects and faculty so that all students will have equivalent experiences. On the fourth morning, the group that ends with a particular project will write up and orally present the results to the course. Before each project, student groups will meet at 4:30 PM with their respective project leader to discuss aspects of the project. There will be 6-8 group projects. Up to 6 units of credit will be given, 3 for the lecture portion and 3 for the field portion. A letter grade will be assigned based on attendance at lectures, exams, reports, proposals, as well as by less tangibles such as personal attitude, motivation, and contribution to the course. The instructor will provide a break-down of points earned and final letter grade to your academic institution. The student is to provide direct evidence of participation such as syllabus, schedules, handouts, lecture notes, proposals, reports, etc. Day 1 Arrive via flight from Panama City. Day 2-3 Orientation with the station and trail system, lectures. Day 4-10 Group research projects, proposals, lectures. Day 11-12 Optional field trip to Vocan Barú cloud forests. Day 13-22 Individual research, lectures. Day 23-26 Analysis and write-up of individual research, lectures. Day 27 Oral presentation of Individual research, party. 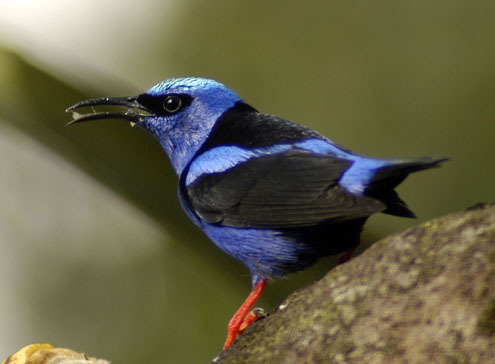 Red-legged Honey Creeper, Cyanerpes cyaneus. Nutrient cycles: What makes tropical regions and soils different? Biodiversity hypotheses; why are the tropics more diverse than other systems? Plant defensive strategies, or, how not to be eaten. Human population growth; where we were, are and going.